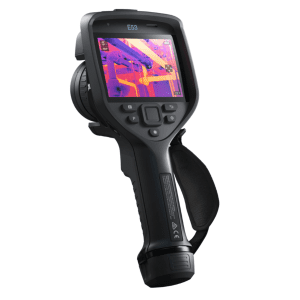 The FLIR CM78 continues to deliver on the value of added safety with a super-bright dual-LED worklight that illuminates dark or poorly-lit work areas without the use of a separate flashlight. This built-in light not only frees up one hand, it adds confidence when performing visual inspections (for wear, pitting, dirt, corrosion and dust) and makes it easier to read faded labels and other markings. 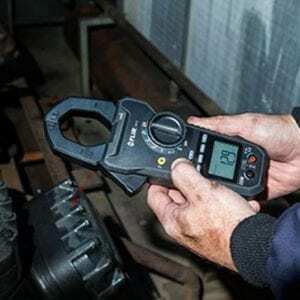 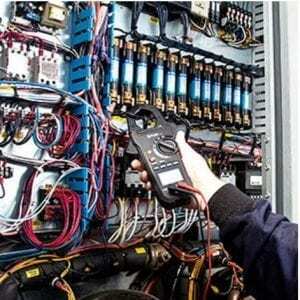 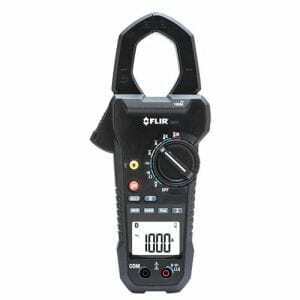 And for peace of mind for years to come, FLIR backs up its durable clamp meters with a limited lifetime warranty. Designed to be rugged, the FLIR CM78 clamp meter delivers safety and versatility—without sacrificing high performance or innovation for tomorrow’s challenges. 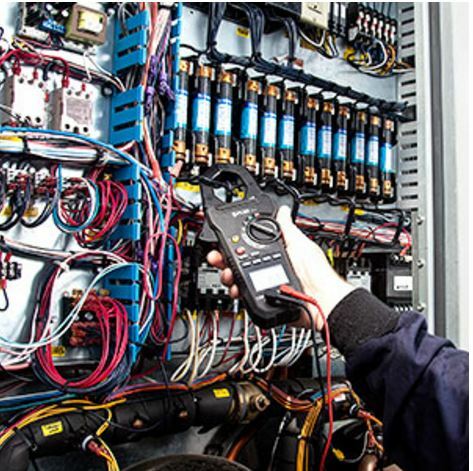 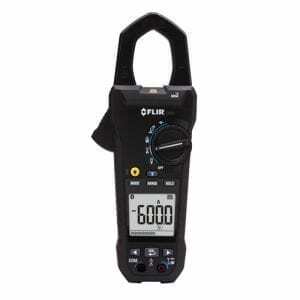 Take the CM78 on every job and it delivers with advanced meter functions including True RMS accuracy, AC/DC current and voltage measurement, resistance, capacitance, frequency, infrared and contact thermocouple temperature, diode-test, and continuity check. 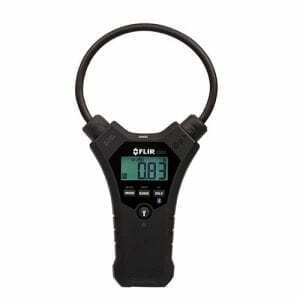 The 4-digit, 4,000 count display is LED-illuminated making it bright and easy to read anywhere. 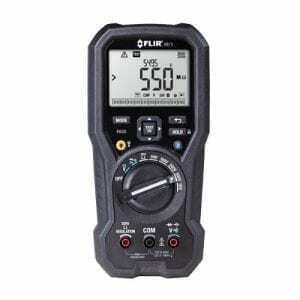 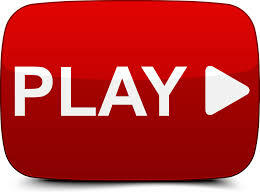 Several one-button functions including data hold, min/max, and selectable auto- or manual-ranging. 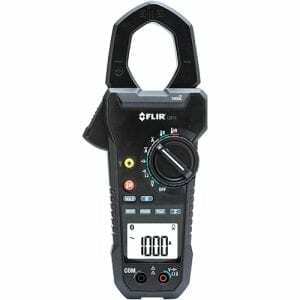 A relative function helps you “zero out” the meter. 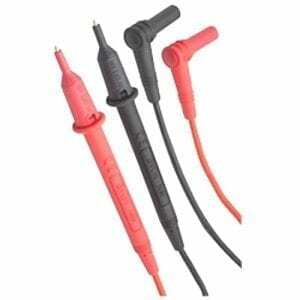 The large 1.7 inch (42mm) jaw opening handles conductors up to 1500 MCM. 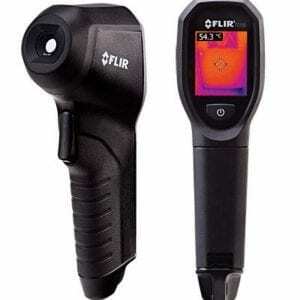 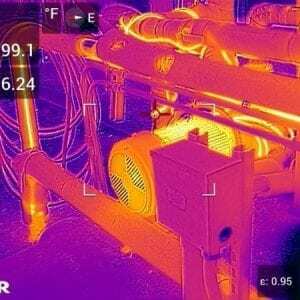 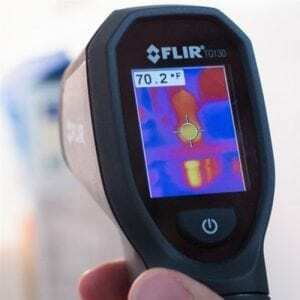 For quick, point and shoot temperature readings, you can also use the non-contact IR thermometer with laser pointer for fast temperature checks or hot-spot detection. 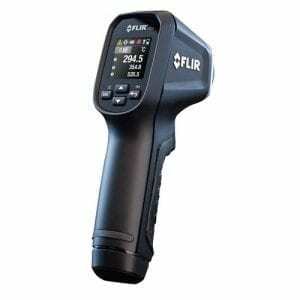 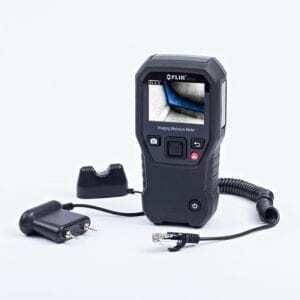 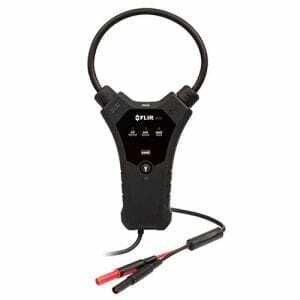 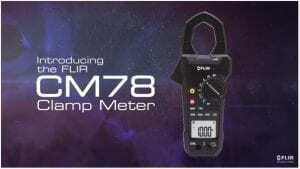 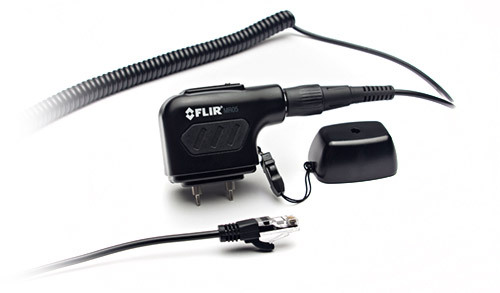 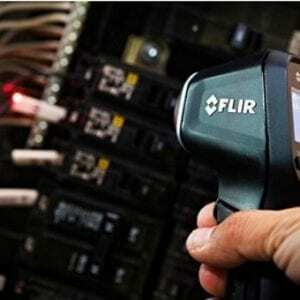 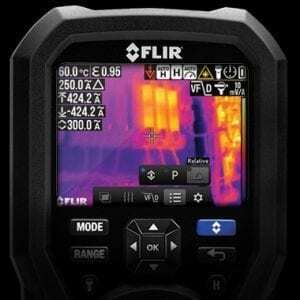 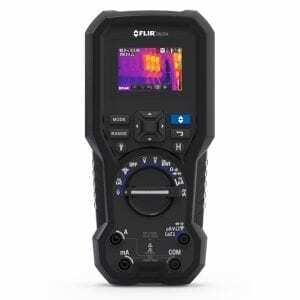 The FLIR CM78 amp clamp has a CAT IV-600V, CAT III-1000V overvoltage safety rating. 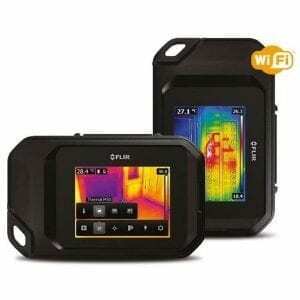 NIST certification is available for this product.